FC Barcelona face Athletic Club on Saturday at 4.15pm CET in the league at Camp Nou. A win would help to put pressure on leaders Real Madrid who play the following day away at Celta Vigo. Barça boss Luis Enrique’s hopes of claiming all three points against the team from Bilbao were boosted by the news that Andrés Iniesta, Sergio Busquets and Lucas Digne could all be back from injury. “In theory, they are back with the squad. They trained today [Friday] and now we await the verdict of the medical staff. It’s great news to be able to have players back after injury,” revealed the coach. Midfielder Iniesta has been out since going off at half time in the first leg of the Copa del Rey tie in Anoeta against Real Sociedad on 19 January. Busquets picked up an ankle injury away at Eibar 10 days ago and Digne missed the midweek clash with Atlético after picking up a knock on his knee in the draw with Betis last weekend. The news that the trio could well return to the squad this weekend will be music to the coach’s ears as he is only too well aware of the physical toll the fixture list takes. “Playing every three days is very demanding physically for my players, they only have two days to recover. 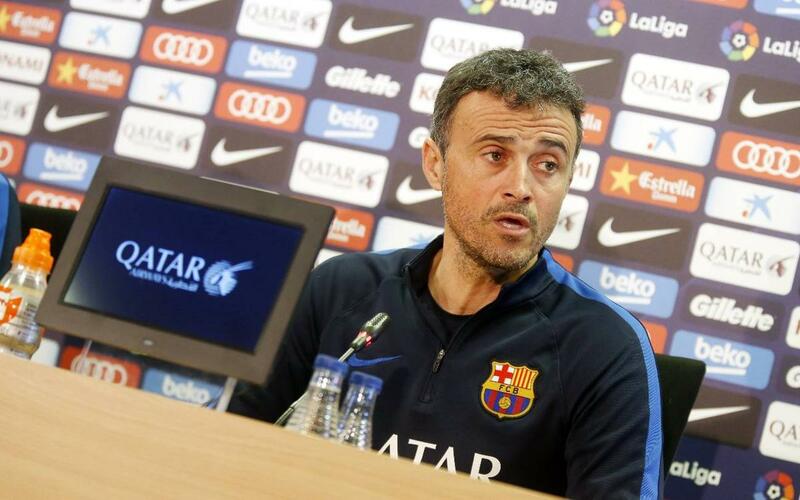 However, that is something we have to live with if we want to chase three trophies,” admitted Luis Enrique. The Barça coach went to admit his side so far this season had not found their rhythm in the league yet it would be dangerous to write them off. “La Liga is about consistency and it’s not where we have been at our best. We have to stretch ourselves to pick up points, always via our football philosophy. If anyone wants to say that we will not win the league, let them think about the last two seasons,” warned the former Barça player. Finally, Luis Enrique was asked about his former team mate at FC Barcelona, Ronaldinho, becoming the Club’s latest ambassador. “I think it’s great for Ronaldinho to be an ambassador for Barça. I had the pleasure to play with him and share a dressing room with him when he came to the club. He was a pioneer when it come bringing joy to proceedings and he brought a lot to the club. Linking Barça with happiness is always a good thing,” concluded the Asturian.